It’s T minus 2 days until 2018 and with it comes all those new beginnings like getting real about your diet and setting those #foodgoals. There’s plenty out there to nom on that doesn’t involve some crazy detox where all you do is drink cranberry juice for 72 hours. 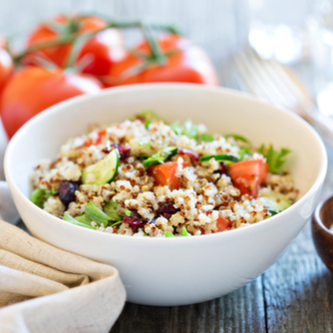 Here’s our round up of some healthy dishes that’ll have everyone rushing to be your friend. Sure, there’s always a potato salad or Caesar salad, but in summer, you want something zesty and fresh. Say hello to the best Thai food for summer, and it’s not pad Thai we’re referring to. 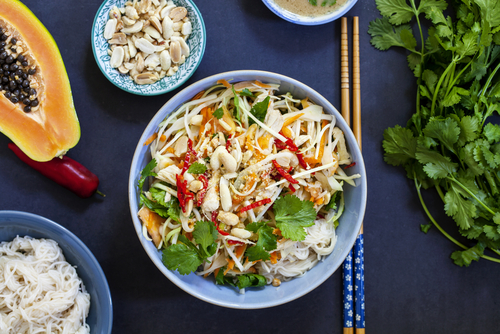 This papaya salad is bursting with cherry tomatoes, dried shrimp and crunchy peanuts drizzled in a tangy chilli sauce - it’s super summery and best of all, exciting. 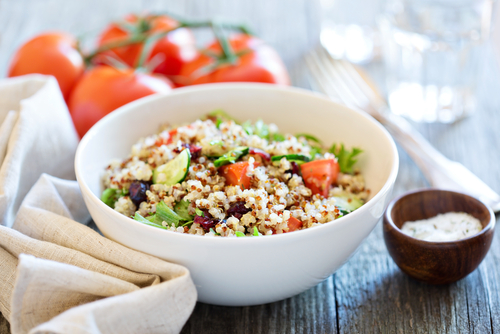 Grain salads like couscous salad might be all the rage but you know a superfood like quinoa has to be super tasty when it goes mainstream. It’s the perfect dish to kickstart your diet, with beetroot, pumpkin, feta, rocket and toasted walnuts. Vegetarian salads don’t get much better than this – we think even Homer Simpson would try it. The Japanese sure ‘get’ food - you only have to look to sashimi, ramen and miso to know what we mean. But when you’re being a bit health conscious and watching the scales, salmon sushi is the best of the lot. 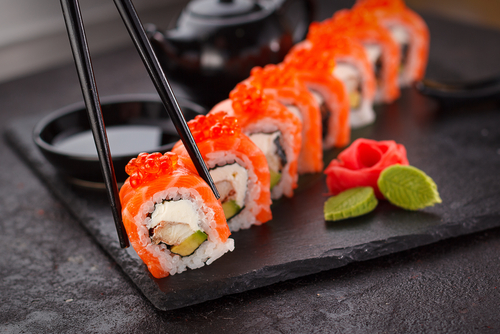 Think tasty sushi rice, with fresh salmon on top and lots of wasabi - if you dare! 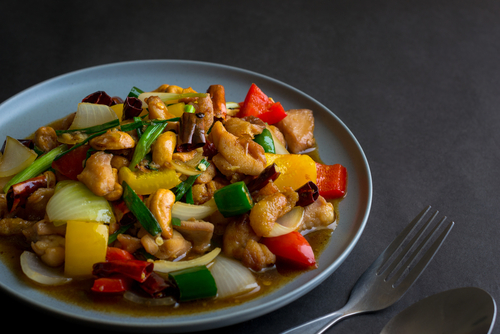 You can’t forget the humble chicken stir fry when you’re talking about tasty yet healthy dishes. If you’re feeling a bit naughty and craving some crispy Chinese food, better add some golden spring rolls. Since the year has only just started, we’re pretty sure you still regret some of your noms, so ease the guilt with this healthy cashew chicken. If you’re sticking to low carb dinners once the clock strikes midnight on the 31st, you’ll want a filling breakfast of tasty egg dishes to put you on track for 2018’s new and improved you. 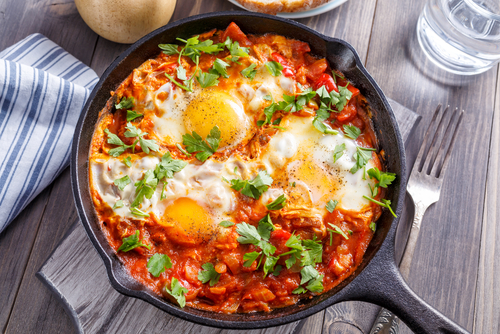 Shakshuka is the tastiest one out there - baked eggs in a spicy tomato sauce. But the best thing about this dish, is that you can have it at any time of day.